Your privacy is an important concern to us at Wildlife Analytical Laboratories. Our goal is to ensure a high level of security and confidentiality. When you provide your personal information to Wildlife Analytical Laboratories (such as your name, address, phone number, company name, etc.) that information will NOT be sold, distributed, used, or given to any other company or individual for use in marketing or solicitation. 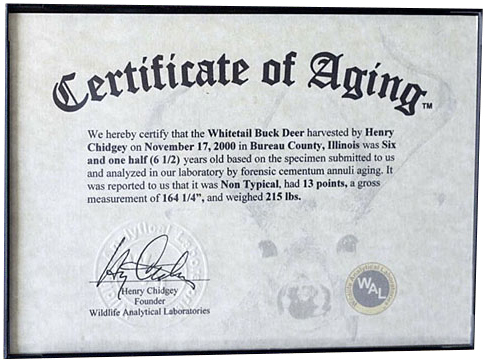 We will maintain the confidentiality of your personal information and it will be used only to support your customer relationship with Wildlife Analytical Laboratories. Additionally, any information gathered via a “cookie”, will not be shown, sold, distributed, used, or given to any other company or individual for their use. The cookies which we employ are used to gather browser and access statistical information only and are kept strictly confidential. If you have any questions regarding our policy, please email us.